Great style begins with great furniture pieces. 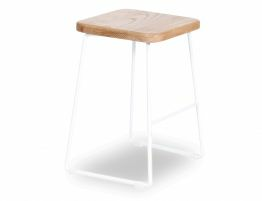 The Hugo timber modern metal and wood bar stool offers a white sleigh style frame paired with a natural solid American ash wood seat. 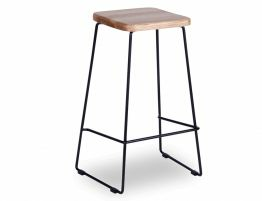 This pairing of metal and wood gives the Tower timber stools a look that is equal parts modern and natural. 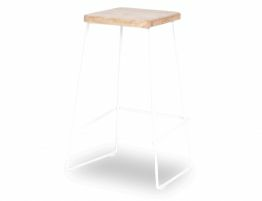 This modern white counter stool is an ideal pairing to the refined, natural modern kitchens. 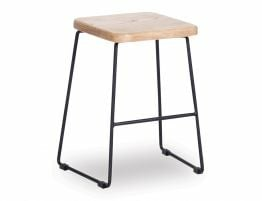 Without being fussy or adorned, this metal and wood bar stool is still refined and sophisticated. 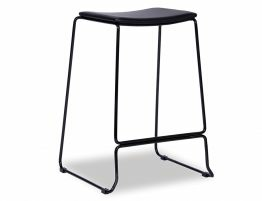 With a chic understated style, this designer bar stool speaks volumes. 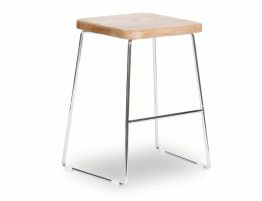 Update your kitchen or counter dining with the Tower minimalist wood bar stool design. 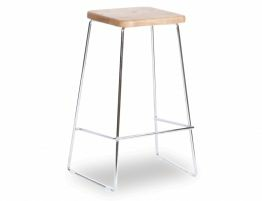 Quality modern metal and wood bar stools don’t have to cost a fortune.